Last might we had our CLAW Open Swim meeting, where we always do a themed sketch competition. I got to pick the theme for this meeting and I chose "Star Wars...What If?" There were some really great ideas, the wildest of which was James Stowe's SW/Winnie the Pooh mash-up! The winning sketch was Adam Botsford's SW/Alice in Wonderland piece--which was excellent! 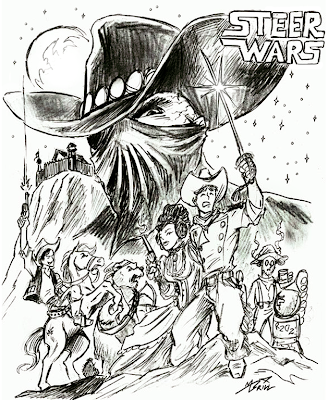 Mine was: What if Star Wars had been a Western? 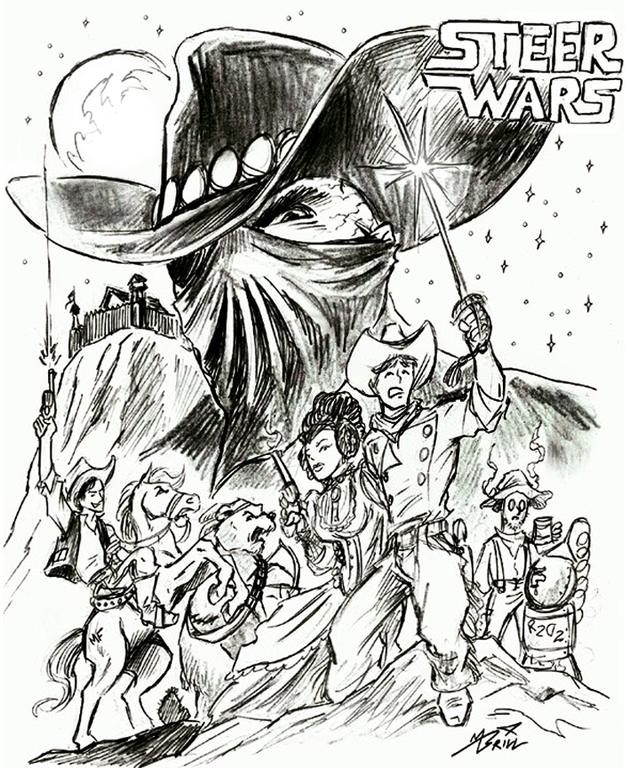 So I sketched up my "Steer Wars" piece, based on the classic movie poster design. It's just a loose pencil drawing, but I think I may have to finish it up in inks and color it! It translated pretty well! I've even got names for them... Bart Vader. Luke Sodbuster. Miss Leia. Dan Shiloh.